Lent invites us to turn down the volume of all that clutters our daily lives and enter into the silence that lies deep within our hearts. It is there that we will hear more profoundly the voice of God and experience the strength of God’s love. In the Gospel of the first Sunday of Lent, we are given an example of what happens when we make an exerted effort to live a life focused on Gospel values. 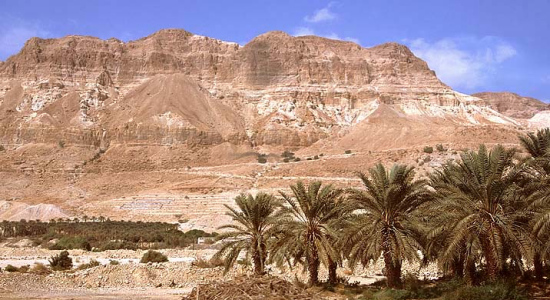 In this account, we see Jesus going into the desert, a place of silence and profound solitude. He is seeking strength and courage and clarity as he begins his mission of salvation. For 40 days he has prayed and fasted. His body surely must have been weakened and obviously, he was hungry. It is at this point that the evil spirit enters. He attacks where he perceives Jesus must be most vulnerable—a need for security, ease, comfort, success, control, power. To all of these temptations, Jesus turns to the strength and power of God’s love and word and repels the evil one. Despite his weakened condition, Jesus faced the enemy fearlessly. As we enter this sacred time of Lent, do not be afraid to venture into the desert of your heart. And, do not be afraid to ask how these comforts, pleasures, relationships or powers may have begun to possess you. Allow yourself to look at the excesses that may have crept into your life. As you do, don’t be surprised at the reluctance you may experience in letting these go. The inner struggle of good and evil will continue to make its presence felt. But, the power of love and the strength of God’s word will not fail you. This entry was posted in Liturgical Seasons and tagged desert, gospel, gospel values, Jesus, Lent, power of love, temptation. Bookmark the permalink. Your post is really nice.You explain our inner struggle very beautifully.In all human beings there is inner struggle between the Good and the Bad when we enter in a bad situation of our life.But at that time the only power save us is the God’s love.There is so much strength in His love that the evil or bad things are always run away from it. Thanks for beautiful post…..